Carmody Construction has been serving Plano homeowners in their home improvement projects since our founding in 1948. With a population of over 10,000 residents, Plano is a continuously growing city that is deeply focused on community development. Plano is known as the headquarters of The Plano Molding Co., a manufacturer of fishing tackle equipment and other plastic domestic containment units. Carmody Construction has completed a substantial amount of work in many of the neighborhoods and commercial districts located in Plano. 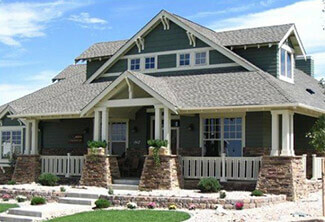 Carmody Construction are experts in renovation jobs, and we like to stay true to the character of Plano. With the experience that Carmody Construction has obtained, we will continue to be the go-to Plano roofing, siding and window company. Carmody Construction is located a short distance from Plano in nearby Oswego. We have spent decades satisfying homeowners, and we have earned a reputation as a leading Plano construction company. Our work in residential and commercial construction in Plano has made us the highly rated choice for all of your construction needs, including windows, roofing, siding, along with kitchen and bath remodels. Carmody Construction is a family owned business. Owner Patrick Carmody, acquired the business from his father in 1976, and in 1991 Patrick’s own sons joined when we began building custom homes. If you’re looking for a company that works with high quality materials, and is dedicated to their work for your Plano home or commercial construction project, contact Carmody Construction today! Live in Plano? Need Windows, Siding, or Roofing Services? Schedule an appointment today!